Apollo 11 astronaut Neil Armstrong was in graver danger of being stranded on the moon than the public has been told, according to the Orlando Sentinel. Apollo 11 astronauts Neil Armstrong and Buzz Aldrin were almost left on the moon — a little-known story rediscovered as the nation prepares to celebrate the 50th anniversary of the first moon landing. Originally appearing in the July 30, 1969, edition of the Orlando Sentinel, the front-page story had the headline, “2 Almost Left On Moon.” The story is part of an ongoing series by the newspaper exploring the 50th anniversary of the Apollo 11 moon landing. “There have been stories about what happened, but none delve into the extent of the emergency,” the official said. And because of that, a one-inch switch guard has become one of the most important considerations of the Apollo 12 lunar mission. “It’s generally been reported that when Armstrong returned the lunar module after the moon walk, his backpack broke a circuit breaker switch,” said the source, an employee of North American Aviation who is one of the last to see Apollo astronauts before they are locked in their spacecraft. Fortunately, Aldrin used a pen on the broken part of the switch to get it to work. “But if he hadn’t been able to, that would have thrown the whole ball of wax over to the abort guidance sequence,” the story continued. “A second problem cropped up in the ascent. The computer handling the normal ascent program erred, and the abort computer, trained to detect and override any such error, began fighting the first computer. “Armstrong reprogramed the first computer, and the ascent continued without incident. That was the end of the end of the Orlando Sentinel story from 1969. Fortunately, the historic Apollo 11 mission did not have a disastrous ending. 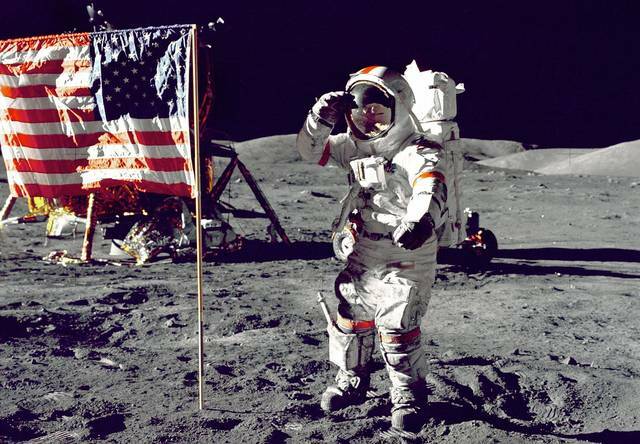 https://www.limaohio.com/wp-content/uploads/sites/54/2019/04/web1_Neil-Armstrong.jpgApollo 11 astronaut Neil Armstrong was in graver danger of being stranded on the moon than the public has been told, according to the Orlando Sentinel.